Let's admit right now that we want an actual bacon lettuce and tomato sandwich and we also want to stay low carb. When I want a BLT I want to hold it in my hands and bite into it and have the tomato juice and mayo drip down the corners of my mouth, okay? If that's wrong, then I don't want to be right. Well, you can have both your BLT sandwich and keep your carbs low. Just make yourself a flax seed flatbread bun. Say that 5 times fast, bet you can't! It's made with just 3-ingredients (finely ground flax seed, an egg, and a pinch of salt) and cooks up in less than 15 minutes. 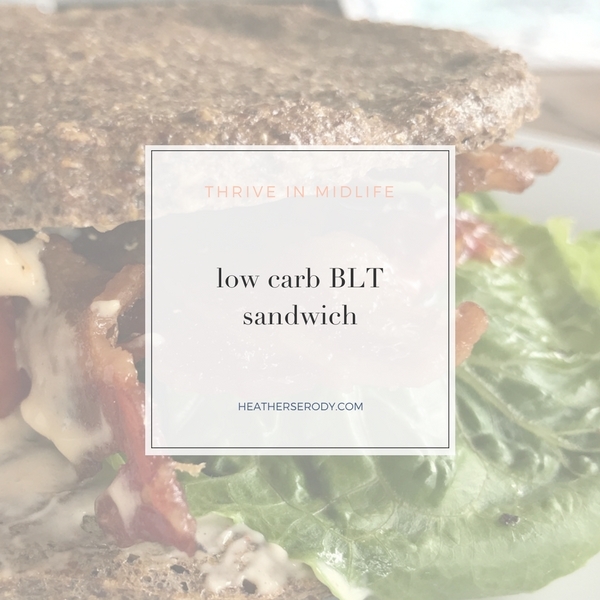 While the flatbread cooks, crisp up your bacon and whip up some homemade keto mayo; which also takes less than 5 minutes to make and you'll be rewarded with a warm toasty low carb BLT sandwich that's totally yummy and satisfying. 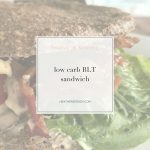 This low carb BLT sandwich is totally going to be your new favorite Saturday lunch. Flax seed must be ground in order for your body to be able to utilize the nutritional benefits-and there are so many in flax seeds! 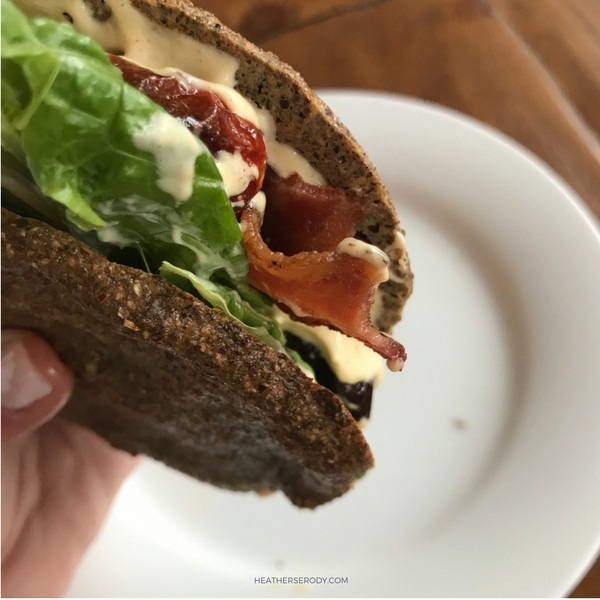 It’s high in omega 3’s, potassium, magnesium, B vitamins, and has a ton of fiber, which is great for making this flat bread bun low-carb. Since fiber is not digestible & isn’t absorbed, you don’t count the carbs from fiber when figuring your carb count. Both buns of this flatbread have just 2.3 total net carbs. 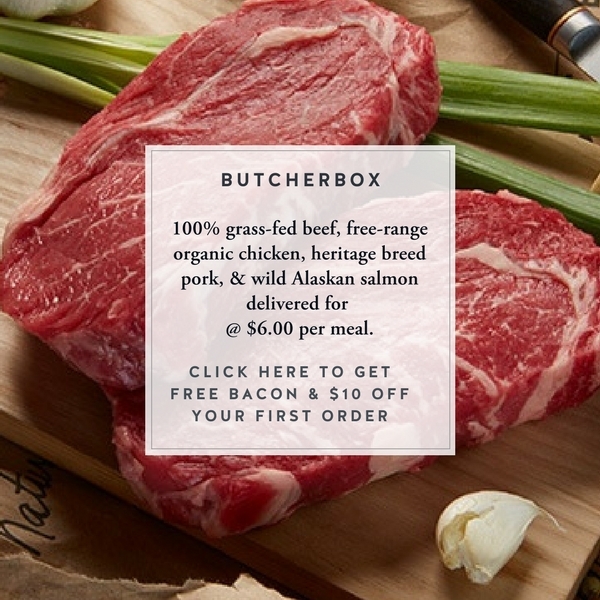 2-3 slices of organic free range no sugar added bacon cooked. Stir together flax seed, egg, and a small pinch of finely ground sea salt in a bowl until well combined. Pour batter into two circles on the parchment lined sheet pan. Using a spatula or the back of a large spoon, spread the batter out evenly into two 'buns.' The batter should be about 1/4" thick. Place sheet pan in the oven on the lowest rack and bake for 10-13 minutes, or until the edges are starting to crisp, and flatbread is firm but still flexible. Remove from oven. After a few minutes, peel the flatbread bunds from the parchment paper. Generously coat the inside of each bun with mayonnaise. Layer the bacon, lettuce, and tomatoes on the bottom bun and season with salt and freshly cracked black pepper. Place the top bun over and lightly press down with your hand to get all the ingredients to meld together. Cut your BLT sandwich in half or just hold together with your hands!